Inspired by the waves, the Assiba Wall Lamp by Vistosi is curved in design and gives an effect of the waves. 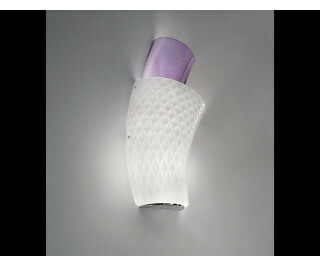 It has a rotating inner diffuser that is made from blown glass and offers variety of lighting options. The Vistosi name enjoys a long lineage of glassmaking in the Venetian tradition, dating as far back as the 1500s when artist guilds were the order of the day. Since then, the company has become one of Italy’s most prestigious and prolific glass lighting manufacturers, with a particular emphasis on exploring the strength, quality and versatility of hand-blown glass.